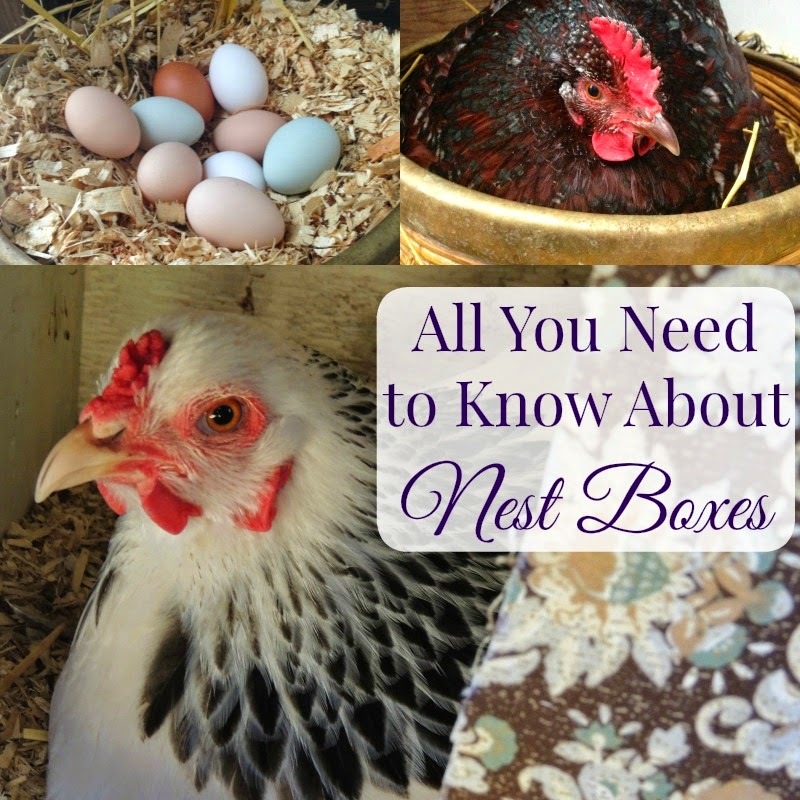 Linn Acres Farm: All You Need to Know About Chicken Nest Boxes! If you raise laying chickens, you need nest boxes! Your nest boxes need to make your chickens feel secure as well as satisfy their natural nesting instincts. They make it easy for you to gather the eggs and keep your chickens happy! To make your own DIY nest boxes, check out our free printable plans to help you build them! When planning your nest boxes, there are a few things you should keep in mind. You want approximately one nest box for every 4-5 chickens. But don't be surprised if they all simply need to use the same one! For nest box dimensions, a good size is 12in x 12in x 12in. They should be filled with nesting materials such as straw, wood shavings, or even leaves. Nest boxes should be placed in a safe area protected from predators, who may be interested in both your chickens and their eggs. By providing comfortable nest boxes your hens will be more likely to use them happily, rather than seek out their own nesting locations. It may sound nice to let your hens choose their own places to lay, but you will have to hunt for the eggs each day. Eggs that aren't gathered will attract predators or possibly become unexpected additions to your flock. To learn how to make these, visit our DIY Nest Box Plans! There are so many different types and styles of nest boxes you can use in your coop. The most economical options are to build your own or re-purpose other materials into nest boxes. Some of your options are: building your own with wood (which is what we do), buy pre-made nest boxes, re-purpose milk crates, plastic bins, utility buckets, baskets or old crates. Use what materials work for you and fits in your coop and situation. If you aren't handy, buying pre-made nest boxes may be the way to go. Need some ideas? Check out our pinterest board below! You may have seen lots of beautiful chicken coops that have nest box curtains. Why are they added? 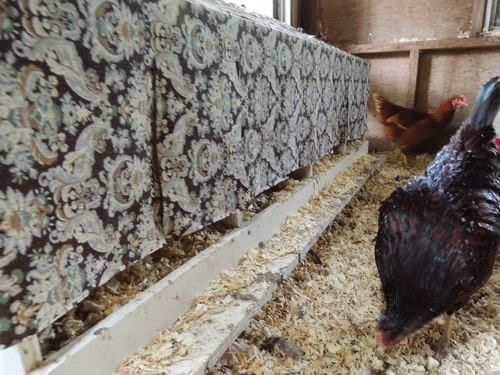 Many chickens seem to enjoy the extra privacy the curtains provide while they are nesting, and they look pretty in your coop! You may find that your chickens love them or are indifferent too them. Some of our chickens prefer the nest boxes with curtains, while others prefer to lay in an open basket. So are they necessary? No! But they sure are cute! Happy chickens lay the best eggs, so provide them with comfortable nest boxes! When your hens lay in their nest boxes each day, you will not have to hunt for their eggs around your property. Make sure you have enough properly sized nest boxes for the size of your flock, fill them with clean bedding, and place them in a protected area. Your chickens will do the rest and provide you and your family with delicious healthy eggs! What do you use for your chicken's nest boxes? Share in the comments! I inherited a bunch of chickens, they follow me around because I feed them mealworm, and cornbread, I have given them all names, and talk to them, I know I am probably crazy, but I am trying to make them nesting boxes as I am finding eggs in my planter next to my front door, not sure what I am doing, but I have some milk crates laying around from moving here, so any advice would be helpful. I love how there are so many ways to create cute and different nesting boxes! A kitty litter box, the kind with a lid, works great!